Lauttasaari (lit. 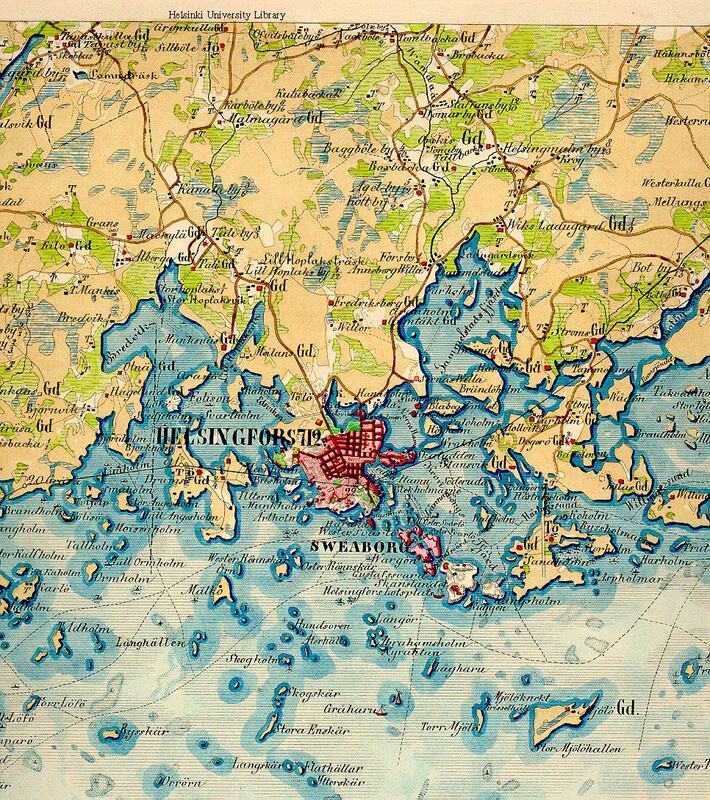 Ferry Island), in Swedish Drumsö, is a mainly residential area just to the west of downtown Helsinki. It's a mostly low island of 3.3 sq.km and is surrounded by waters of the Gulf of Finland. 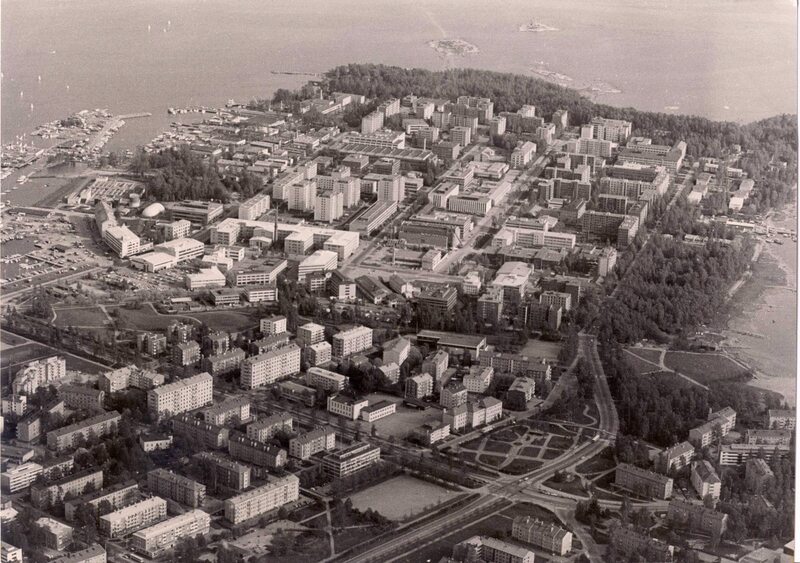 Lauttasaari, with its present-day 19,000 inhabitants, forms an urban district within the City of Helsinki. The island seen from airplane (2007). An aerial view of 1983 by Kai R. Lehtonen. Google's satellite image of Lauttasaari. You can zoom it into very small details. Lauttasaaren rakentamisen vaiheita (The building history of Lauttasaari, only in Finnish). Martti Janhusen kokoama ja Lauttasaaren säätiön julkaisema luettelo kaikista Lauttasaaren rakennuksista vuonna 1981. Helsingin esikaupunkiliitos. Lauttasaarta ja Munkkiniemeä koskeva erikoisselvitys. Yrjö Harvia 1936. Osa Helsingin kaupungin tietokeskuksen julkaisemaa pdf-dokumenttia (46 s, 3,4 MB). Koko liitosalueselvitys. 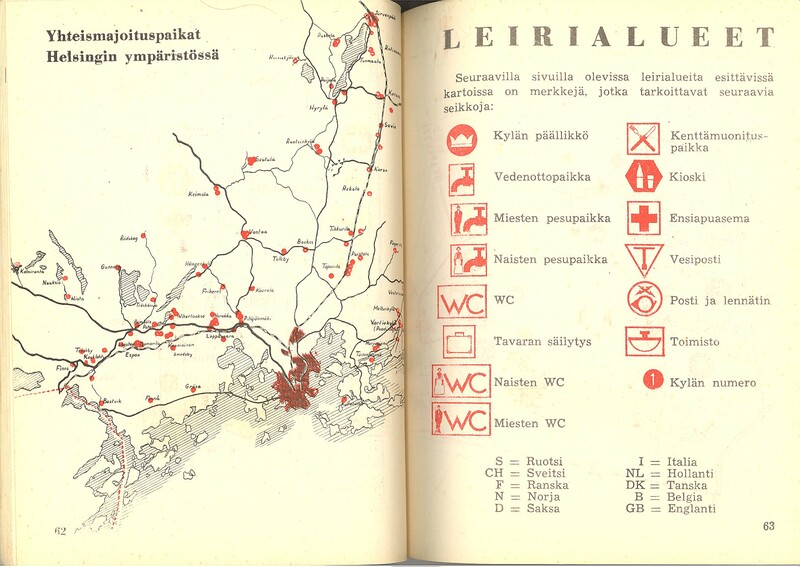 Liitos toteutui vuoden 1946 alussa. closeness to the sea (a picture cavalcade). Maps from 1780 to 1943. 1577 The village on the island of Drumsö was destroyed by a Russian Tartar cavalry which crossed the Gulf of Finland on ice. Very little else is known about Drumsö of that time - then known by its original Swedish language name with varying forms of writing: Drumsöö, Drumsiö, &c.
Topographical Depot. Notice the optical telegraphy line. 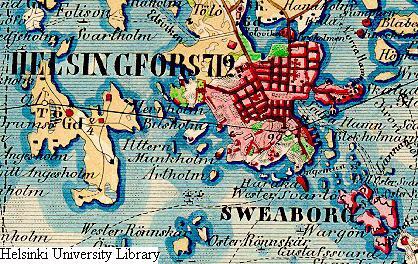 1748 Construction of the sea-fortress of Sveaborg (in Finnish previously Viapori, now Suomenlinna) on islands outside Helsinki was started by Swedish authorities. The work was headed by Augustin Ehrensvärd (1710-72). He died as Field Marshal. At that time there were no fortifications on Drumsö. 1824-1852 Paikallisuutisia sanomalehdistä suomeksi ja ruotsiksi (Newspaper reports with mentions of Lauttasaari and nearby islands in Finnish and Swedish 1824-1852 from the digitized newspaper archives in the National Library of Finland). 1853 Hostilities between Russia and the allied powers of England, France, Turkey and Sardinia (The Crimean War) broke out. Russian authorities started to set up fortifications on the island of Drumsö. Map from the year 1855. 1854-55 See Sveaborg and the Crimean War. Construction of an optical telegraphy line going through Lauttasaari was started in 1854. 1854-1855. Contemporary newspaper reports of the British and French offensives against Lauttasaari. Suomeksi. Ruotsiksi. 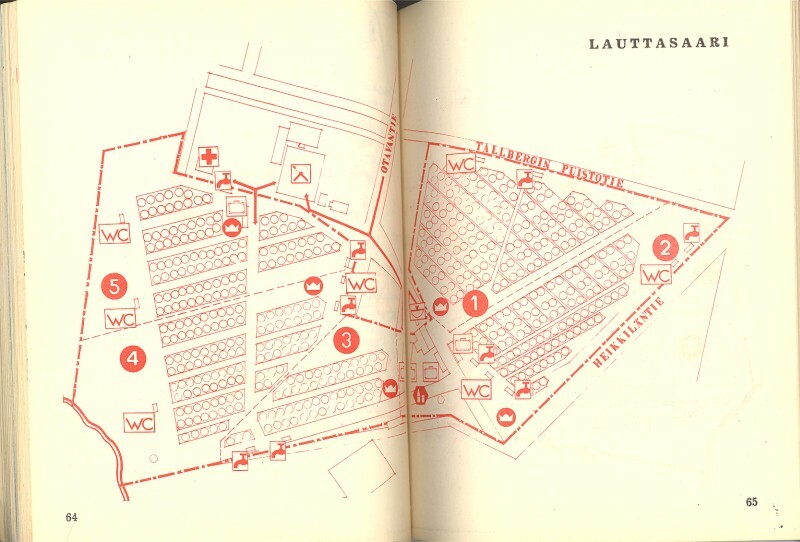 (Digitized newspaper archives of the National Library of Finland). 1876 Höyryveneiden paikallisliikenne Helsingistä länteen. Timetable for steam boat service in 1876 in Finnish. 1911 The island (non-military part) was bought by a merchant, Julius Tallberg. He immediately made a very generous tender to the City of Helsinki to buy his acquisition. The City Council turned down his offer. 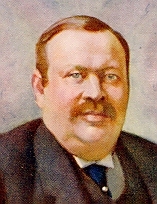 After his death in 1921 his heirs owned a substantial part of the island up to 1950's. 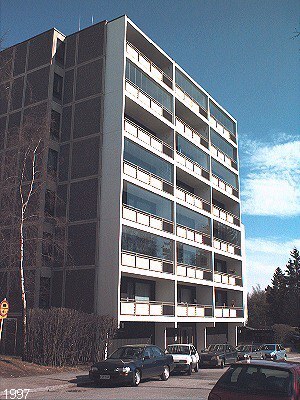 Most prominent previous owners were Weurlanders (1725-1836), Gyldén, Silljanders, and a naturalized Russian merchant, Ivan Wavulin, and his heirs (1871-1911). 1914 On the eve of the First World War Russian authorities started a major strategic effort to encircle the whole city of Helsinki with a modern fortified defense line. 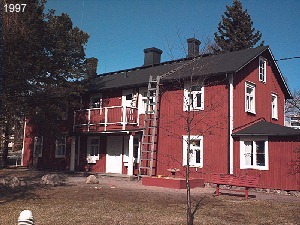 Minor installations were also set up in 1915 on the western tip of Drumsö. 1935 A bridge replaced the ferry traffic. for the AA battery "Puisto"
1939-44 Soviet Union attacked Finland on Nov. 30, 1939. The war ended on March 13, 1940. Finland was compelled to cede more than 10 percent of her area. After a brief peace period the war broke out again in 1941. 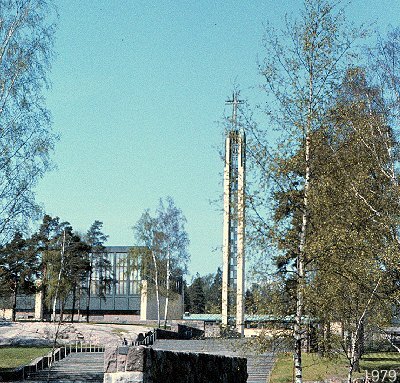 Anti-aircraft artillery bases were built on Lauttasaari to protect Helsinki. 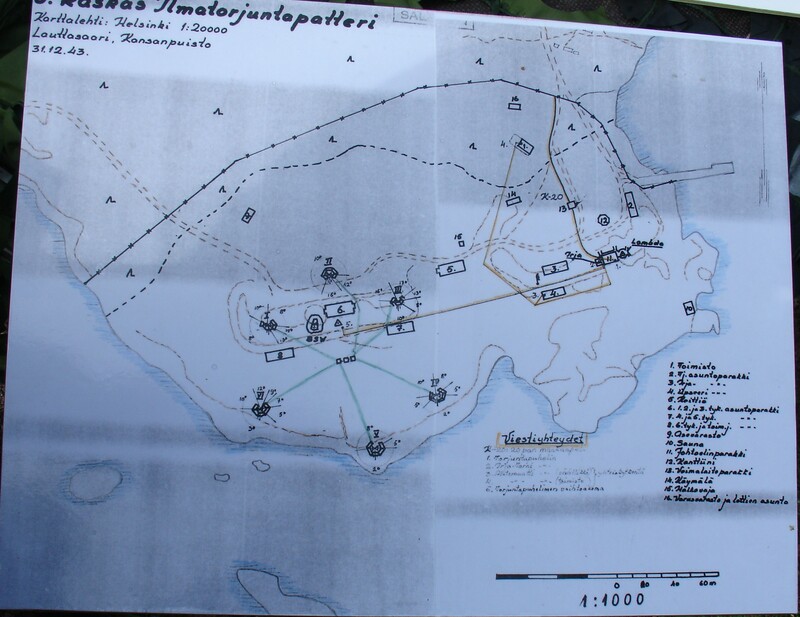 A positioning chart for the 8th heavy anti-aircraft battery "Puisto" in the southern tip of Lauttasaari. The batteries all over the city formed a well organized air defense. They got the real fire-baptism when the Soviets launched their massive bombing runs on Helsinki in February, 1944. 1944 A Red Army captain, Ivan Belov, was passing on Nov., 1944, through Lauttasaari in a military convoy from the harbour in Helsinki to the newly formed Porkkala marine base when he was shot dead in the darkness of the night. Four shots were heard at 2 o'clock A.M.  The Allied (i.e. Soviet) Control Commission, then already arrived at Helsinki in accordance with the armistice agreement of Sept. 19, blamed the Finnish government for this provocative act. An extensive police investigation followed but nothing was found. The Soviet pressure gradually quieted down. Much later evalutions of the incident concluded that it was a deed of jealousy within the Russian troops. This was probably found out quite soon in Red Army's own investigations but it was never told to the Finns. 1965 A new highway bridge was opened for through traffic.